(AP Photo/Dale Sparks, File) This Feb. 21, 2005, file photo shows incoming bishop of the Wheeling-Charleston diocese, Michael Bransfield in his new office, in Wheeling, W.Va. The Diocese of Wheeling-Charleston and Bransfield, a former bishop in West Virginia knowingly employed pedophiles and failed to conduct adequate background checks on camp and school workers, a lawsuit filed Tuesday, March 19, 2019, by the state attorney general charges. Charleston, W.Va. • A Catholic diocese and its former bishop in West Virginia knowingly employed pedophiles and failed to conduct adequate background checks on camp and school workers, according to a lawsuit filed Tuesday by the state attorney general. 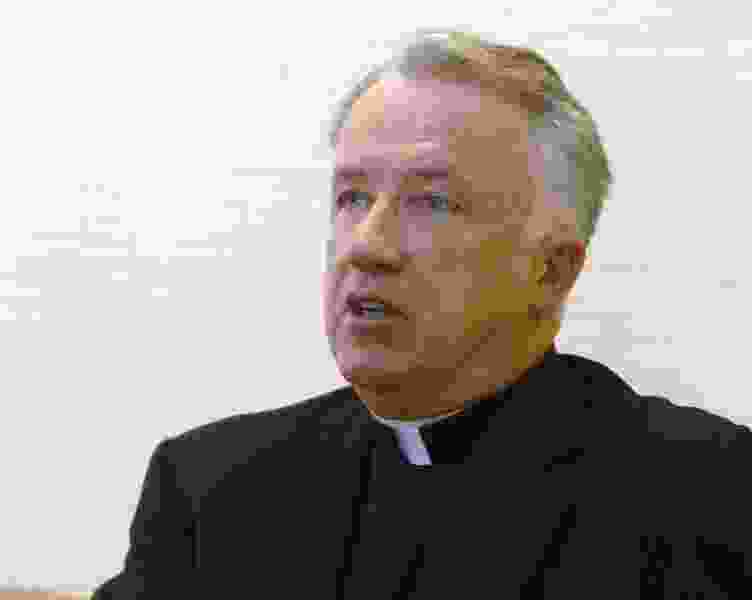 Attorney General Patrick Morrisey’s suit against the Diocese of Wheeling-Charleston and Bishop Michael Bransfield was brought under the state’s consumer credit and protection act, which several lawyers said is a first-of-its kind move. The suit alleges the diocese and Bransfield chose to cover up arguably criminal behavior and says the diocese employed admitted sexual abusers and priests credibly accused of child sexual abuse without adequate background checks. It comes about a week after church officials barred Bransfield from priestly duties following an investigation into claims that he sexually harassed adults and committed financial improprieties. “The Catholic Church has been covering up, concealing and denying that it’s harbored child-molesting priests for a long time, including right here in West Virginia,” Morrisey said at a news conference. In one decades-old instance cited in the lawsuit, the Rev. Victor Frobas, who was forced out of the Philadelphia seminary system because of a credible accusation of child sexual abuse, was made the director of a summer youth camp owned by the diocese. Frobas was then accused of sexually abusing children at that post and, after a leave of absence, was later assigned to work as a chaplain at Wheeling Central Catholic High School, the lawsuit said. The Vatican announced that Pope Francis accepted Bransfield’s resignation in September and appointed Baltimore Archbishop William Lori to take over the Wheeling-Charleston diocese. Bransfield had been implicated in a 2012 case against Philadelphia priests accused of sexual abuse, but he denied abusing anyone. Last week, Catholic Church officials said they were imposing ministerial restrictions on Bransfield pending the Holy See’s final assessment on the investigation into the claims in West Virginia. A Catholic high school in Wheeling, West Virginia, voted recently to remove Bransfield’s name from a gym. His name also has been removed from a care center at Wheeling Hospital. Lennon applauded the attorney general’s suit. “It holds those people — those criminals — accountable and those who are complicit in covering up for those criminals, accountable,” he said.